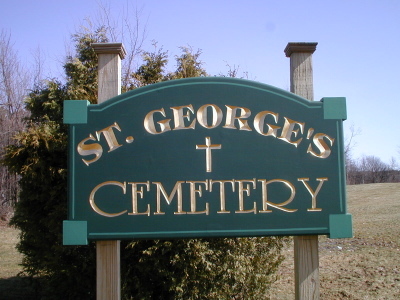 DIRECTIONS: This active cemetery is located at the intersection of the Pikeville Road and Franklin County Route 23. 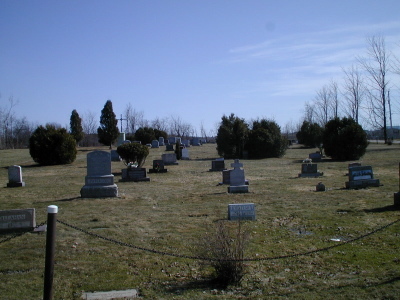 This cemetery was transcribed 14 April 2001 by Michael & Joyce Ranieri. It was compared to a very short (one page) transcription compiled by Elizabeth H. Coleman, Adirondack Chapter D.A.R., in 1931. The oldest burials appear to be those of Nettie SHATRAW TAYLOR and John CALLAHAN who both died in 1923. Footstone: M. June McKINNEY 1923 - 1980 Wife of William J. Jr.
We'll meet you in the morning. SGT 307 ABN MEDICAL CO.